Books documenting the life of Martin Luther King Jr. and the civil rights movement arrive each year and especially this time of year. In Martin Luther King's Biblical Epic: His Final, Great Speech (University Press of Mississippi), Keith D. Miller of Arizona State University examines almost word for word King's "Mountaintop" speech delivered on April 3, 1968, inside Mason Temple in Memphis. He traces its biblical basis, from Exodus to the Prophets. He shows how King tailored his speech to the subject at hand (the city's garbage workers' strike). He reviews the status of King's career on that stormy night in April. And he discusses the seating and acoustics inside Mason Temple. If what you know of the "Mountaintop" speech is its closing two minutes, Miller is here to inform — and inspire — you on its full 60 minutes. 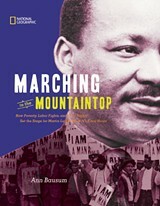 "Inform" is a watchword for author Ann Bausum, who's built a career on writing about U.S. history for young people and with an eye toward educating them on social issues and progressive causes. Past subjects have included suffragettes, immigrants, muckrakers, and Freedom Riders. Now she's written Marching to the Mountaintop: How Poverty, Labor Fights and Civil Rights Set the Stage for Martin Luther King, Jr.'s Final Hours (National Geographic Children's Books). This week, Bausum, who is widely admired among librarians and educators, will be discussing and signing her latest book at the Booksellers at Laurelwood. And don't let the recommended age group for Marching to the Mountaintop mislead you. That's age 10 and up. One last note, this week, in memory of Martin Luther King: There's an excellent picture book for everybody, young and old. It's called This Light of Ours: Activist Photographers of the Civil Rights Movement (University Press of Mississippi). It's a collection of black-and-white photos to admire and, what's more, learn from. 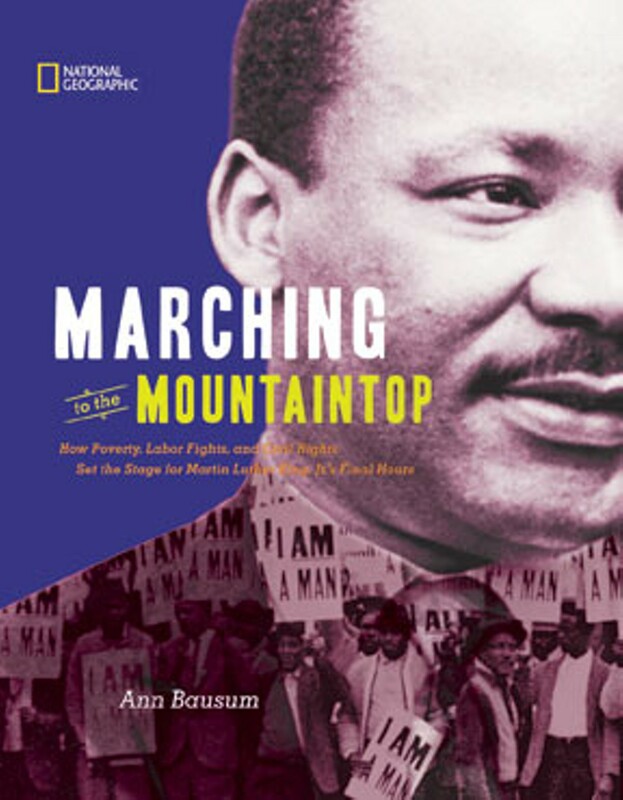 Ann Bausum discussing and signing "Marching to the Mountaintop," at the Booksellers at Laurelwood on Thursday, April 5th, 6 p.m.